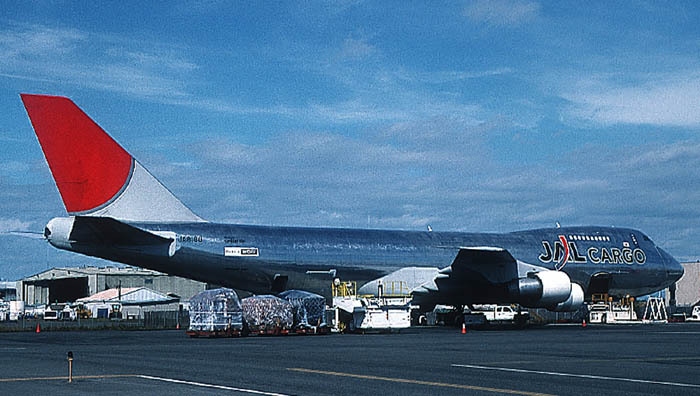 McDonnell-Douglas MD-11 JA8587 (c/n 48578, l/n 588) is seen here in the "old" colourscheme, which was not bad looking either. 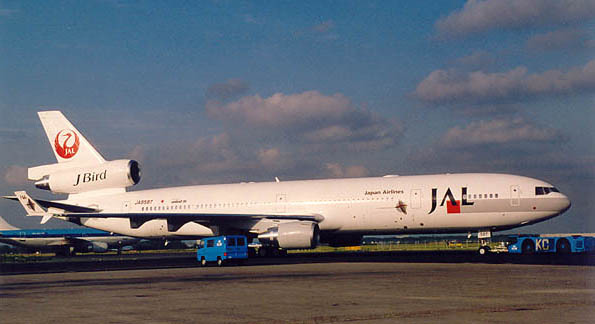 JA8587 is seen here in July 1995, while being push-backed from the gate at Amsterdam IAP. 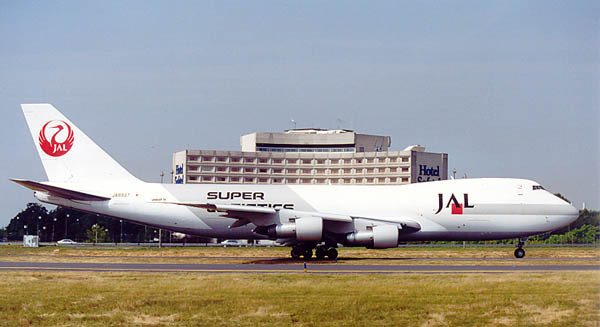 Boeing 747-246F(SCD) JA811J (22989/571) is seen here on 15Sep02, taxiing to the exit of the "Sierra"-ramp at Amsterdam IAP. 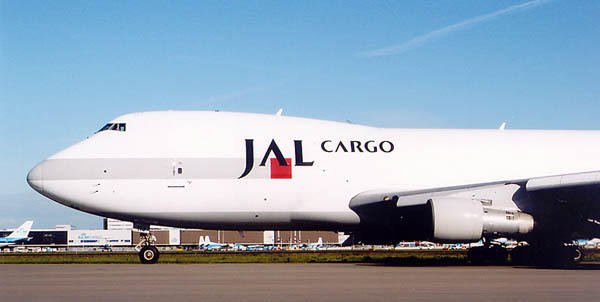 The new (2003) colourscheme on JA8180, Boeing 747-246F (SCD) 23641 / 684 @Anchorage 23Jul03.